Modesty is something that is very important to myself and our entire family. As a Christian, I believe strongly in modesty, and we try to uphold certain standards in our "dress code". 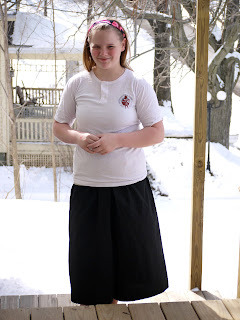 Often this means having the girls wear bloomers under their skirts if they're participating in an active sport, or wearing a pair of culottes. And I mean the type of culottes that actually look like a skirt, but gives you the freedom to move, run, and be active without compromising your modesty. That's why I was so excited to discover 1611Skirts.com, a company that offers modest clothing for women and girls. 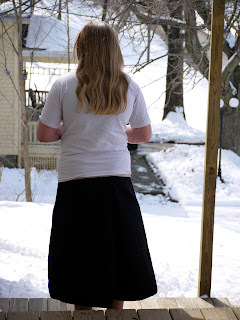 Several styles of skirts and culottes are available, and I was able to order a pair of the Box Pleat Culottes for my review. You can choose the fabric, color, and length desired when ordering your culottes, and I opted for the black Trigger fabric. It took less than a week for my order to be shipped out, so it wasn't long before I was enjoying the Box Pleat Culotte. Upon opening the package, the first thing I noticed was the comfortable fabric. Very lightweight and cool, yet strong and sturdy to withstand vigorous activities. 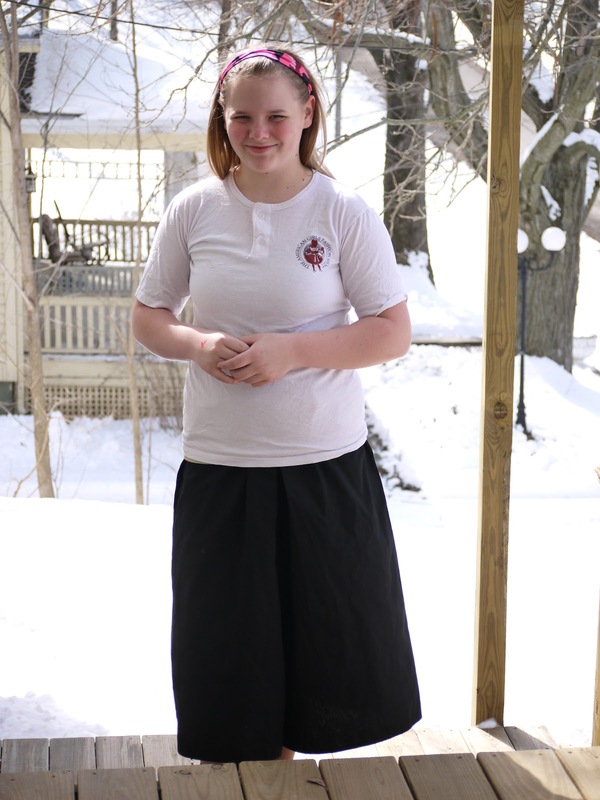 I wear culottes for many things including martial arts, basketball, volleyball, horseback riding, etc. so having a sturdy material is very important. M decided that she likes my new culottes! I also love the style. These have an A-line shape, so the outline looks like a skirt. With a box pleat in both the front and back, you're guaranteed modesty while wearing these! The culotte has an elastic waistband, so there's a little bit of stretch if needed. They're snug without being tight, and are the perfect fit. Of course, no matter how nice they look, or how modest the culottes are, comfort is a big issue too. So I was very pleased when I tried these on for the first time, and realized just how comfortable they are! I could literally live in a pair of these culottes; they are that comfy. And while we're covered in snow right now, come spring and summer, I know I will appreciate the cool, lightweight fabric! 1 Pair of Box Pleat Culottes! The cascading wrap is absolutely beautiful!! I like the Fitted Slim-Line Skirt it is gorgous. I think that the Cascading Wrap looks really nice. I like their Casual Skirt. Fitted slim-line skirt! Thanks for the chance! I love the Cascading Wrap.